Although recent years have brought many changes in New York drug laws, those changes have not lessened the importance of obtaining reliable, experienced legal counsel. In fact, depending on the charges against you and a range of circumstances, our New York City drug crime defense attorneys may be better able to help you by seeking alternative sentencing or other manageable outcomes than in the past. With more than 50 years of combined legal experience, the lawyers at the law firm of Goldberg & Allen, LLP, will work hard to provide you with a vigorous defense designed to protect your rights. From federal drug crimes to cases involving search and seizure violations, we will work hard to help you build the strongest possible defense. Veteran trial lawyer Jay K. Goldberg’s drug case successes for our clients include case dismissals prior to trial on matters of law, including the illegality of searches and seizures, a particular area of strength for our former high-level prosecutors. Attorney Goldberg has also achieved a range of not-guilty verdicts at trial, and cases in which charges were successfully reduced or consequences were mitigated substantially. Attorney Goldberg and attorney Gerald Allen both reached the level of First Deputy Bureau Chief in Kings County. In Mr. Goldberg’s case, he had authority over the Major Narcotics Investigation Bureau. 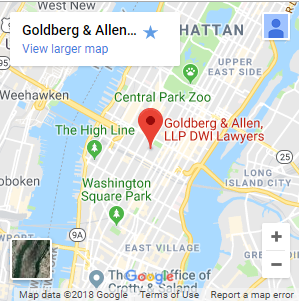 Both Mr. Goldberg and Mr. Allen trained the police and the prosecutors — many of whom have become judges — in many areas that may be directly relevant to your case, enabling us to spot opportunities and openings in our defense cases today. We are prepared to provide you with the high-level defense you need to fight a drug charge or get the consequences reduced so you can move forward with your life. 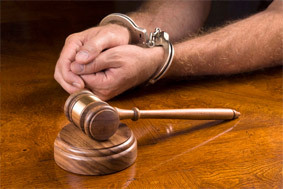 Contact our Manhattan drug crime defense lawyers online or call 212-766-3366 for a free case review.